With a reputation for rigorous procedures and practices, ZeticaUXO leads the UK for UXO detection. One of our primary considerations is improving safety through verification of results and clear communication of the actual effectiveness of any UXO detection undertaken. Probable depth of UXO/intended works. Type of UXO (e.g. size, ferrous or non-ferrous). Effect of site ground conditions on detection technique. Client’s risk tolerance and requirements. Where shallow-buried UXO hazards are anticipated, a non-intrusive detection survey may be appropriate. ZeticaUXO has the capacity to undertake a range of non-intrusive UXO detection surveys. Uniquely, we can combine many techniques onto a single platform which is particularly advantageous for large sites with a wide range of potential UXO and where other buried hazards may be present. A magnetometer survey is probably the most common approach to detecting ferrous-based UXO. We typically use highly sensitive caesium vapour magnetometers which are capable of detecting a range of ordnance, including air-dropped bombs. 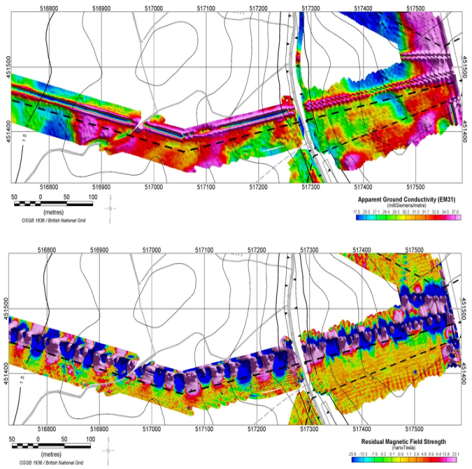 Additionally, we will further interpret the magnetometer survey data to identify other buried hazards such as utility services, reinforced structures or areas of buried waste. Another common approach we utilise is an electromagnetic-based detection (time domain electromagnetic (TDEM)) where both ferrous and non-ferrous ordnance (such as close combat munitions) can be detected. As with most of our surveys we would also use the electromagnetic survey data to identify other hazards such as utility services. A combination of techniques or, where applicable, repeat phases of surveys can provide very high detection confidence as well as providing a formal record (before and after) of targets that have been detected and removed as part of a clearance phase (quality control). It is important to use the findings of a thorough and detailed desk study & risk assessment to inform any survey, therefore ensuring that the correct UXO detection techniques are employed, and that no additional techniques are undertaken without further benefit. 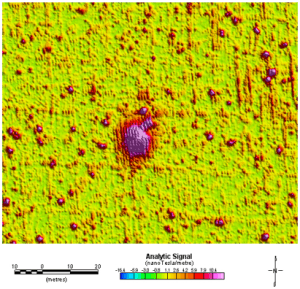 We often see recommendations for both a magnetometer and electromagnetic survey to detect WWII incendiary devices. This effectively doubles the amount of survey work, when a thorough risk assessment will usually identify that the hazard provided by such UXO is low. 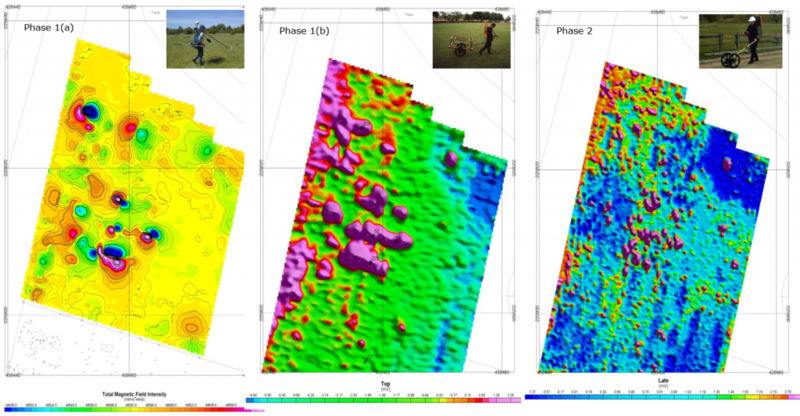 The use of ZeticaUXO’s TOAD (towed geophysical platform) provides for a fast and more economical survey for larger sites. Changes in geology, such as clay to gravel. Areas prone to collapse during excavation. Buried waste materials and infilled ground. Existing cables, pipes and other utility services. For further information on the full range of site investigation services Zetica offer, visit our group website. Depending on the potential UXO hazard on your site, and the proposed construction works, a non-intrusive detection survey may not be appropriate. Where deep (>2.0m) UXB detection is necessary, such as for proposed borehole or pile locations, ZeticaUXO provides intrusive deep UXB detection techniques such as MagCone, MagDrill and MagAuger. 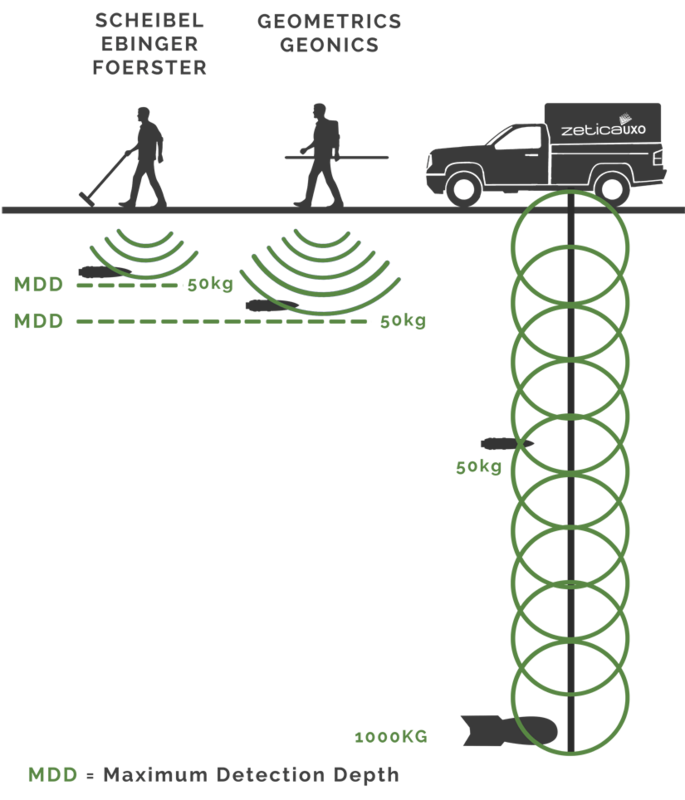 Using one of the above drilling techniques, a magnetometer is advanced into the ground at the proposed location of a borehole or pile. 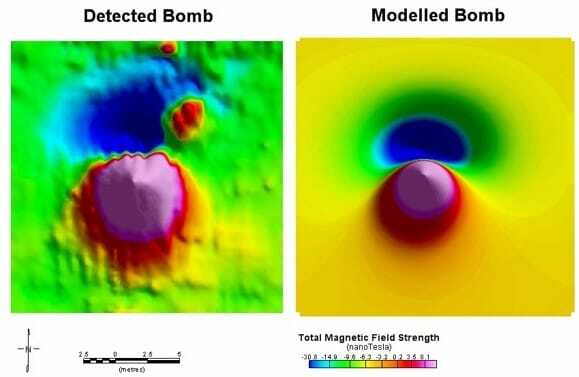 The Magnetometer is able to detect potential ferrous metal objects such as UXB. 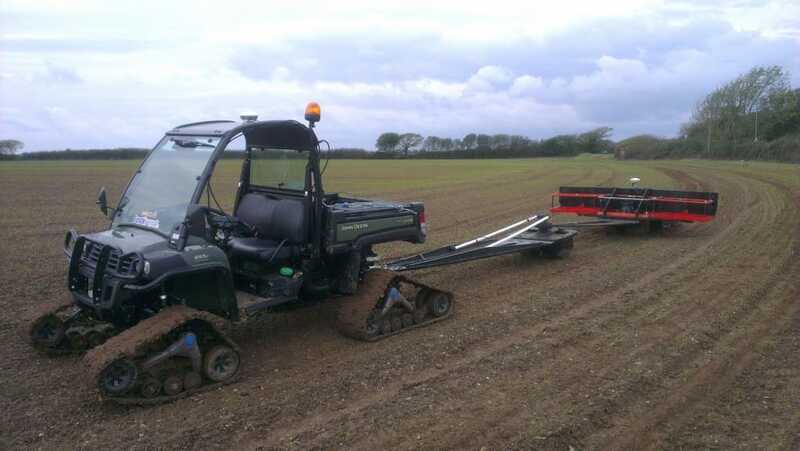 We can also adapt our methods to work with other techniques such as cable percussive drilling, where UXB detection can be undertaken as the borehole is advanced. Blind Drilling – We do not think it is appropriate when dealing with an explosive hazard to conduct any UXO detection using ‘blind’ drilling (i.e. detecting UXO once the borehole has been drilled to depth). While our competitors may do this, we value your staff, property and our employees. All of our techniques utilise active UXO detection throughout the drilling process. Detection Assurance – Our detection ranges for individual target sizes are based on actual data acquired onsite. We don’t just assume that the detectability of a UXB is that anticipated, we actually evaluate it in context of the site’s ground conditions, just in case the detectability is less than anticipated. Otherwise we could issue a clearance certificate that is worthless due to the fact that some areas of the site may not be adequately cleared of UXB. A key aspect Zetica promotes within the industry is detection assurance. This provides safety by ensuring that on completion of any survey, the effectiveness, and so any remaining residual UXO hazard, is properly understood. This lowers the chances of UXO being unexpectedly discovered during site development. As part of this, ZeticaUXO routinely undertakes Geophysical System Verification (GSV) for UXO detection surveys, which enables accurate modelling and assessment of potential UXO targets through seeding (burying an object of comparable size to target UXO) and characterising detectability at the site. Wherever feasible, we assess each anomaly for its characteristics, its size/amplitude, its likely depth and, where appropriate, we undertake forward modelling to better establish its likelihood of being UXO. Importantly, this allows for better discrimination of targets for investigation, meaning we investigate less scrap metal than most other UXO specialists. Zetica’s ability to draw on highly qualified and experienced geophysicists, combined with its established procedures for ensuring data quality and survey effectiveness, means that we provide some of the highest quality UXO detection surveys in the industry. Using our unique test site facility to train staff, verify that our proposed techniques are effective, and to trial newly available equipment, we maintain our cutting edge status in the industry. Depending on the results of any UXO detection survey, a target investigation may be required to further mitigate the potential UXO risk on your site. It may not always be practical to provide proactive UXO detction and target investigation due to site conditions or programme constraints. As an alternative in such situations an Explosive Ordnance Clearance (EOC) Engineer can be used to supervise works such as excavation. The EOC Engineer will carry out a visual assessment on any suspect items uncovered during excavation works and ensure appropriate action is taken if the item is identified as UXO.